These folk plays are performed during the period before and after Christmas known as the Advent Season--from December 12 to January 6--but they can be appreciated any time during the year. Whether approached as dramas, literature, or vernacular religious expression, these works are important in New Mexico's literary and cultural heritage. 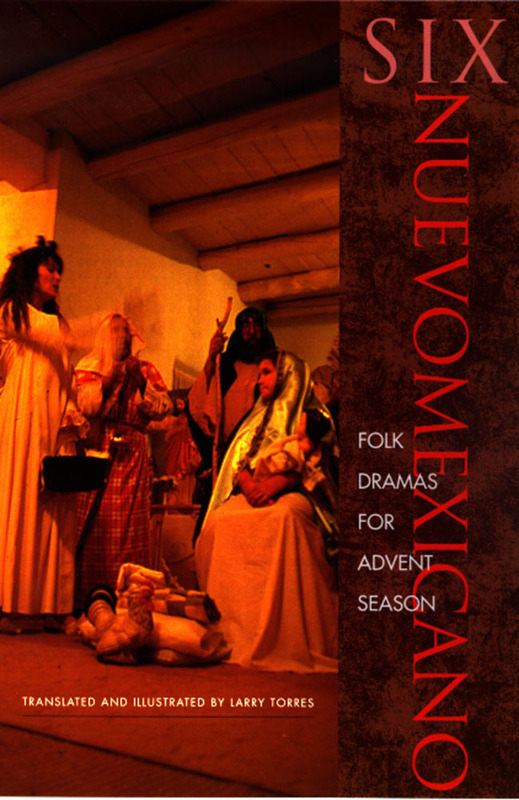 Products of late medieval Spain modified over the past 400 years in New Mexico, these dramas mix didactic morality, miracle stories, and folk inspiration. The six works presented here make up the cycle of Advent: The Four Apparitions of Our Lady of Guadalupe / Las Cuatros Apariciones de Guadalupe; No Room at the Inn / Las Posadas; The Second Shepherd's Play / Los Pastores; The Battle of the Christians and the Moors / Los Moros y los Cristianos; The Matachines / Los Matachines; and The Three Wise Men / Los Tres Reyes Magos. Torres presents these plays so as to enable the reader to understand them as cultural experiences within a centuries-old tradition of sacred ritual. These definitive editions in English and Spanish verse, the first bilingual collection of Advent drama, make them accessible to all interested in Hispanic culture. Torres provides historical notes and production suggestions as well as abundant illustrations to help directors and actors visualize scenes and block characters. Larry Torres is head of the Academy of Arts and Culture, UNM, Taos. A former high school teacher, he has received various state and national awards for his work as an educator. Since 1984 he has resurrected morality plays in New Mexico as a director, actor, and editor/translator.